Here at Flowers With Passion in Longridge we have several different varieties to choose from - red, cream, pink, speckled. All beautifully gift wrapped either in mixed planted containers or individually wrapped for your own home or as a gift for a loved one. We Care - pass the message on! With the plants being the undisputed stars of the festive season we would like to highlight the reasons why your local florist should be the go to shop to buy your poinsettias. Poinsettias need warmth and light and must be kept away from draughts. That means they must be kept away from fireplaces, doorways, open windows, and breezy hallways. Poinsettias originate from Mexico, hence their sensitivity to the cold and wind. Keep your plant somewhere that has some natural daylight. They're most happy in temperature between 15 and 20°C, so it will be completely at home in most living rooms. We should share the message that If the retailer hasn’t handled your poinsettia correctly, it may well not last at home. You should never buy a poinsettia that’s been sitting next to a set of automatic doors that open every 30 seconds, because it will have been damaged by chilly winter draughts, they don't appreciate the cold blast of air, then a hot blast from air heaters! When you choose a plant, it shouldn't be too light or heavy - it should be neither soaking wet nor totally dry. Other information worth sharing is how you can spot how healthy a plant is feeling by just looking carefully at it; dense foliage and yellow-green budding flowers in between the coloured bracts are sure signs of quality. Poinsettias don’t like a lot of water. The plant’s root ball should neither dry out nor be drenched. Overwatering can quickly lead to waterlogging, which in turn causes the roots to rot and leaves you with a dead plant. The easiest way to care for them is to either immerse the whole pot and root ball in water once a week in tepid water and let it drain before popping it back in the pot. Similar to how you would a Phalaenopsis orchid. The alternative is to give it a small amount of water every few days. Finally, make sure poinsettias are all wrapped up to protect it from the cold on the journey home. 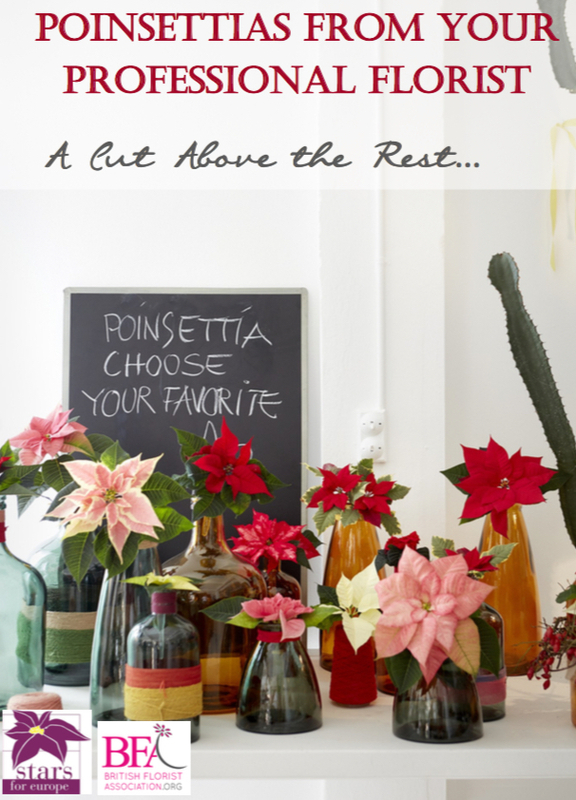 Ask your florist to gift wrap your poinsettia for you.